Dr. Robert Rivera is passionate about medicine. He has been providing medical care to Broadview’s Residents for over 18 years. He is kind, knowledgeable and works very well with Broadview’s staff, residents and their families. 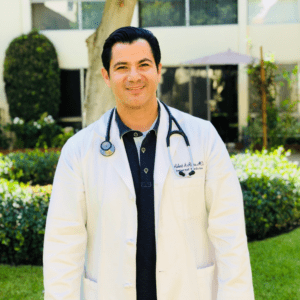 He has been serving as a Utilization Review Committee member and Medical Director for many healthcare centers in the Burbank and Glendale area for the last 20 years. Ani McEvoy is a board-certified nurse practitioner (NP) specializing in geriatric mental health in the San Fernando Valley. She received a dual Master’s of Science degrees in both Nurse Practitioner and Clinical Nurse Specialist from the University of California, Los Angeles. Ani McEvoy has developed a particular interest in working with patients in long-term care. With 10 years of experience serving our older adults in the community, she has managed multiple residents for an extended period of time, allowing for an increased opportunity for an effective treatment plan to be developed. 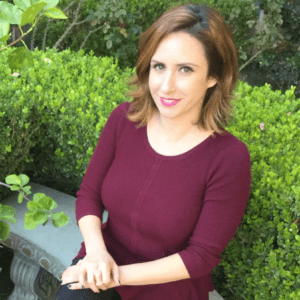 When not involved with seeing clients in various facilities, she is promoting mental health education in the community through her affiliation with Glendale Community College’s RN program. Her hobbies include watching mixed martial arts fighting and spending time with her son and close friends. Decades ago, as a newly minted psychologist, Dr. Mitchell made house calls to senior citizens who were too disabled to come to the office for therapy. 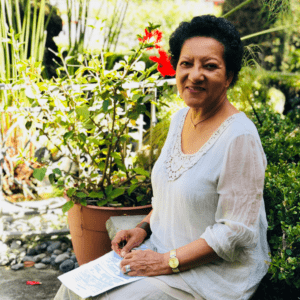 At that time she discovered that she was able to connect quickly and easily with people of a much older generation, and she enjoyed working with them. She also discovered that they had a wealth of life experience that they generously shared with her. She felt fortunate to have access to this information, and was able to use it in all areas of her practice over the years. Dr. Mitchell went on to work with people at every stage of the life span, and developed a special interest and expertise in working with young teenagers and with assisting their parents to develop more effective parenting skills. Dr. Mitchell has always reserved a place in her heart for older adults, and now that she is herself a senior citizen, she had been able to make easy connections with our residents. Dr. Mitchell received her Master’s in Counseling Psychology from Loyola Marymount University in Los Angeles, California, and her Doctorate in Clinical Psychology from Florida Institute of Technology in Melbourne, Florida. 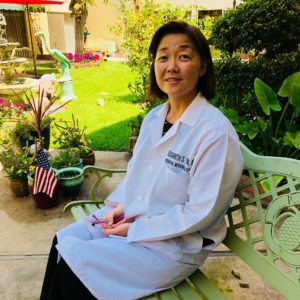 Elisabeth S. Youn, DPM is a practicing podiatrist in Los Angeles, Calif. Dr. Youn received her B.A. from Smith College in 1995 and graduated from Barry University School of Podiatric Medicine in 2000 and has been in practice for 18 years. She completed one year of primary podiatric medical residency at Wyckoff Heights Medical Hospital and a two year residency of podiatric orthopedic residency and podiatric surgical residency at Greater Boston Veterans Administration Hospital. She is board certified in primary care podiatric medicine, prevention and treatment of diabetic foot wounds and diabetic footwear under American Board of Multiple Specialties in Podiatry. She currently has a private practice located at Silver Lake Medical Center. Dr. Youn also provides podiatric care to patients in assist living facilities including Broadview Residential Care Center in Glendale, Calif. Just like staff members at Broadview, Dr. Youn and her own staff provide a welcoming, family-like experience to patients at Broadview Residential Care Center. Boris Zaks, M.D., having worked alongside several of the world’s renowned dermatologists, has shaped a uniquely innovative approach in treating any skin problem you may have. 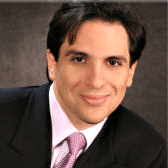 Dr. Zaks received his training and graduated with highest honors from UCLA School of Medicine. This prestigious medical background ensures that you’ll get the expert solutions you deserve. He is Board certified by the American Board of Dermatology and is frequently interviewed by the media to discuss the latest developments in Dermatology.